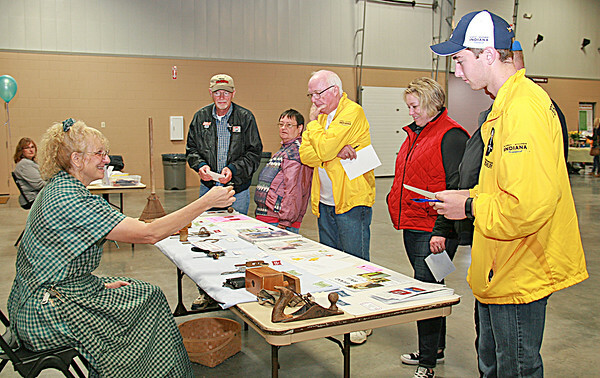 PIONEER PUZZLER: Phyllis Myers, coordinator at the Thorntown Heritage Museum, showed a crowd of people a mysterious tool at the Boone County Bicentennial block party on Thursday evening at the Boone County 4-H Fairgrounds. The tool is a holder that people used to hang candles from their Christmas trees. The museum was one of several local organizations that participated in the event, which included a scavenger hunt and a quiz for local government officials on Boone's history.